Wouldn’t it be nice if quality was the only thing that mattered when it comes to writing? Unfortunately, no matter what or why you write, there are always reasons to hurry. You might have an editor or a client eager to get that post or article from you. If you are a business owner, writing may be one of many tasks you have to deal with. In any case, you’ve got to write and write fast. How do you do that while still meeting high-quality standards? The best writers use an arsenal of tools and life hacks just for this purpose. Keep reading to learn what you can do to turn out great writing as quickly as possible. Some of us are more prolific when it comes to speaking than writing. If this sounds like you, consider getting a dictation tool to speed up the writing process. All you have to do, once the software is configured, is speak your thoughts out loud. You will have to edit, but you might be surprised at how quickly you progress once you have a jump start. Spell check, insert a table, change formatting, add an image, view in print mode, add commentary, and more! Modern word processing software is full of bells and whistles. This is a great thing. At least most of the time it is. Unfortunately, all of this functionality can be distracting when all you want to do is write. Every writer should consider distraction-free writing tools. These are simple writing interfaces that allow you to do what you need to do which is simply write. Some distraction-free tools come with calming background noises, even old-fashioned typewriter sounds to keep you in the right frame of mind. Technology can make nearly anything more efficient. Writing is no different. There is a plethora of apps, tools, and plugins designed to help writers improve their productivity. Take advantage of these. Let them help you edit and proofread your work as well as ensure that your writing is as readable as it can be. Check out Grammarly, the Hemingway app, Evernote, and Ulysses just to get started. There’s more time in the day to write than you might realize. It’s just a matter of maximizing the time that’s available to you. You can get quite a bit done in those little five and ten minute blocks of free time that emerge during the day. The trick is being prepared. If you write using cloud-based tools, you will be ready to write no matter where you are. All you need is an internet connection! It’s not easy to do. As a writer, your first instinct is to fix that spelling mistake or missing Oxford comma the moment you see it. While you should never lose your watchful eye and attention to detail, you should lose your impulsive need to edit as you write. All this does is slow you down. Instead, just focus on writing during your first pass. You can always edit yourself and fix mistakes during the next pass. Remember that perfectionism can really slow down progress. Once you have a writing topic, don’t start typing right away. Instead, take the time to search for sources first. As long as you have reputable, reliable sources, you will have links to back your point. You will also have resources to back your writing. This will give you a real head start, especially when you compare this to the time it takes to find links and resources after the fact. Let’s be honest. Very few of us are writing to win Pulitzer Prizes or the Nobel Prize for Literature. We write to connect with our audiences, to create engagement, and to establish thought leadership. There’s no need to write in circles trying to impress people with literary gymnastics. Instead, write naturally as you would if you were speaking to your audience. Your writing will flow quickly, and you’ll find that you finish writing projects much more efficiently. Sometimes the issue isn’t that you can’t write quickly. It’s that you can’t write quickly on a particular topic. By keeping a relatively long list of writing ideas, you can pick the topics that you’re ‘feeling’ at any given time. This means you spend less time thinking up new ideas, and that you can almost assuredly find a topic idea that you can begin working on quickly. In case you prefer to write a quick outline before the full draft, you can try free thesis generator tools that can be useful not only for students but professional writers. Try a few of these tricks and tools. Before long, you will find that you are writing faster without sacrificing quality at all. What a better way to make writing an easier part of your daily schedule. Chris Mercer is the founder of Citatior, a powerful, academic formatting tool for students. He is also a developer and a respected freelance writer. Chris truly believes that happy people write their own stories. This is why he has chosen the path of a freelancer. It gives him the freedom to tackle the work that he loves while ensuring he always has time for his passions. Thank you Kelly. Will surely add them to succeed. 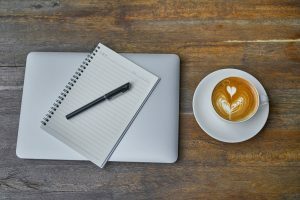 One of the best ways I find when writing to a tight deadline is to use the pomodoro technique to manage your time. The technique uses a timer to break down work into intervals, traditionally 25 minutes in length, separated by short breaks. There are a number of free apps which you can use to manage this. Try it you may be surprised how quickly the creative juices flow.